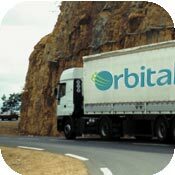 Through our established network, at Orbital Express we have the facility to offer a fast and reliable next day, express delivery service for documents, parcels and other items of freight. What’s more, our door to door service is available on demand. In fact we’re one of the UK’s fastest growing parcel carriers offering door to door, next working day delivery services to all destinations in Great Britain and Northern Ireland. 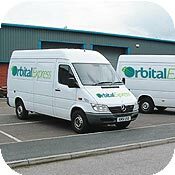 So if you’re looking for an express guaranteed next day delivery service that really means next day delivery, then give us a call at Orbital Express on 01924 439977. With our own fleet of vehicles, we will arrange for an express next day delivery of parcels throughout the UK and Europe. In fact we can handle all your next day delivery requirements. As with all our services, one call to Orbital Express and we do the rest. Once we know the details of the package or parcel that requires next day shipping we’ll determine and organise the most cost effective and efficient delivery solution. Providing it’s within the current laws of physics, we may even be able to arrange for international parcel delivery on an next day delivery basis. Whichever Orbital Express service you require, our high level of customer service will not change. All UK guaranteed next day parcel deliveries are monitored from pick up to delivery. This means that if things don’t quite go as expected contingency plans can be made. For more information about next day parcel delivery within the UK, or guaranteed next day delivery to certain international destinations please call now on 01924 439977 or complete our online contact form.